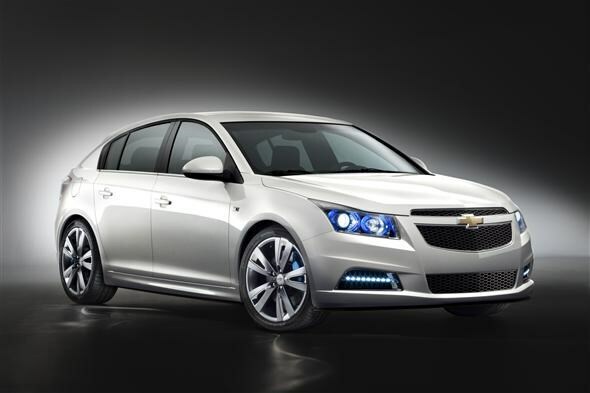 These are the first official pictures of Chevrolet's five-door version of its popular saloon car - the Cruze. Distinctive styling from the original car remains, with the big grille and bold headlight design coupled with the addition of day-time LED running lights on the front bumper. The new car's engine and transmission options will follow the standard Cruze's lead, although some may get a shade more power and are expected to pass euro V emissions standards. 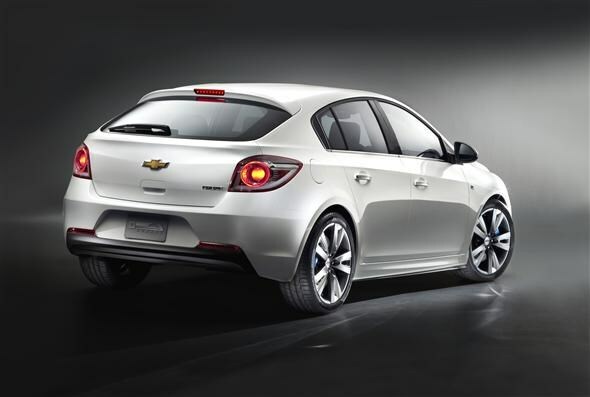 There's no word on a three-door version of the Cruze or a high-performance model yet. The new Cruze hatchback gets a fairly large boot (400-litres compared to the VW Golf's 360) and 60/40 split rear seat. The new car will go on sale in Europe in mid-2011, although there's no word on pricing yet as the car is still in ‘show car' stage. With the bigger Cruze Saloon starting at £13,295 it's fair to predict that prices will start at around £12,000. Chevrolet expects the hatch to appeal to company car drivers as well thanks to its low cost and economical running. The saloon doesn't have an engine in its range returning less than 41.5mpg, so running costs should prove keen. Easy to drive, well built with lots of space in the cabin.